I don't know about you but I am always looking for yummy recipes for the family that are lower calorie. 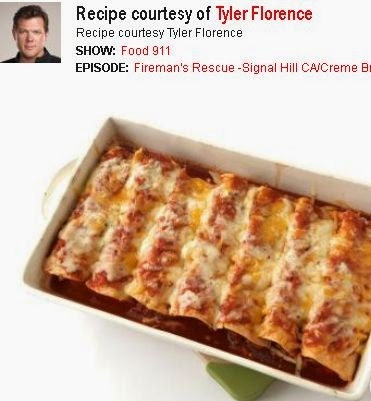 Check out these delicious low calorie recipes like -Chicken Enchiladas Recipe courtesy of Tyler Florence just 383 calories. Click the link below to scroll through tons of recipes. Once on the Food Network website scroll to the bottom to check out some totally delicious recipes by all the Food Network chefs.